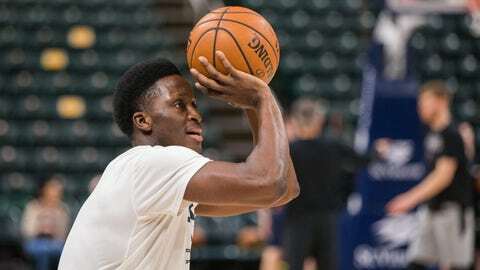 All-Star guard Victor Oladipo warmed up for the Pacers but missed his third straight game with a sore right knee. INDIANAPOLIS — LaMarcus Aldridge hopes San Antonio’s victory over Indiana is enough to get the Spurs back on track. San Antonio took a 54-45 halftime lead and then went on a 9-2 run to open the second half. The Spurs took a 63-47 lead on Bryn Forbes’ 3-pointer with 8:56 remaining in the third quarter.